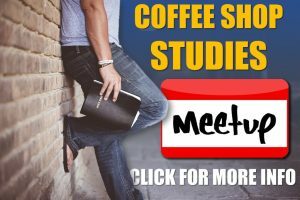 Are you interested in a private Bible study? If you live in the Kingston area and would like to set up a private Bible class (in your home, our home, or at a local coffee shop), contact us (see contact info below). If you are not from the Kingston area, we will do our beset to find a Bible teacher in your area who will teach only what the Bible teaches. Below you will find self-grading Bible courses available on our site. We hope you will find them helpful as you study God’s word. Copyright © Steve Rudd. Used by permission. LESSON 1 – Are the Bible stories just myths? Does the Bible contain errors? Did Jesus Christ ever really live? Does the Bible contradict science? LESSON 2 – If you were arrested for being a Christian, would there be enough evidence to convict you? Is Jesus really your Lord? LESSON 3 – Are your feelings of salvation based upon the facts of the Bible? Could you be lost even though you feel saved? Is the church you attend the same one Christ died for? Why are all the churches divided? Copyright © Sewell Hall. Used by permisssion. Copyright © Keith Sharp. Used by permission. LESSON 6 – Should I Be A Christian?